“a reading of some recent decisions delivered by the Supreme Court seems to suggest that the remission power of the appropriate Government has effectively been nullified by awarding sentences of 20 years, 25 years and in some cases without any remission. Is this permissible? Can the Supreme Court (or any Court for that matter) restrain the appropriate Government from granting remission of a sentence to a convict? What the Supreme Court has done in Swamy Shraddananda and several other cases, by giving a sentence in a capital offence of 20 years or 30 years imprisonment without remission, is to effectively injunct the appropriate Government from exercising its power of remission for the specified period. In our opinion, this issue needs further and greater discussion, but as at present advised, we are of the opinion that this is not permissible. The appropriate Government cannot be told that it is prohibited from granting remission of a sentence. Similarly, a convict cannot be told that he cannot apply for a remission in his sentence, whatever the reason. Question No.1 ; Whether imprisonment for life in terms of Section 53 read with Section 45 of the Penal Code meant imprisonment for rest of the life of the prisoner or a convict undergoing life imprisonment has a right to claim remission and whether as per the principles enunciated in paras 91 to 93 of Swamy Shraddananda (2), a special category of sentence may be made for the very few cases where the death penalty might be substituted by the punishment of imprisonment for life or imprisonment for a term in excess of fourteen years and to put that category beyond application of remission? Ans. 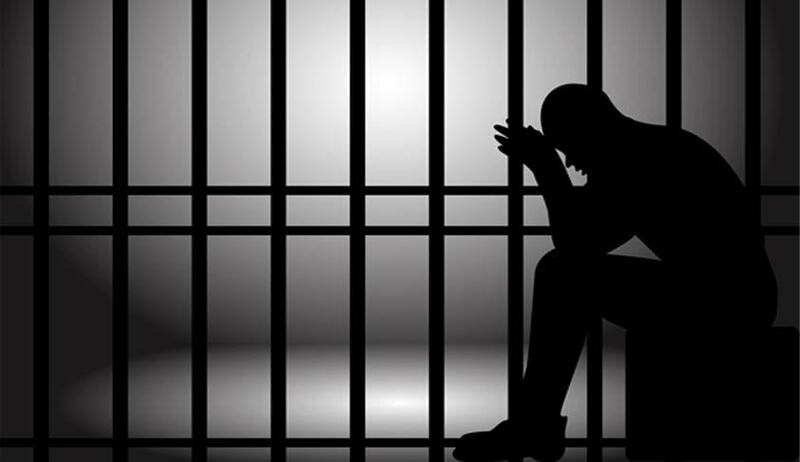 Imprisonment for life in terms of Section 53 read with Section 45 of the Penal Code only means imprisonment for rest of life of the convict. The right to claim remission, commutation, reprieve etc. as provided under Article 72 or Article 161 of the Constitution will always be available being Constitutional Remedies untouchable by the Court. We hold that the ratio laid down in Swamy Shraddananda (supra) that a special category of sentence; instead of death can be substituted by the punishment of imprisonment for life or for a term exceeding 14 years and put that category beyond application of remission is well-founded and we answer the said question in the affirmative. Question No.2 ; Whether the “Appropriate Government” is permitted to exercise the power of remission under Sections 432/433 of the Code after the parallel power has been exercised by the President under Article 72 or the Governor under Article 161 or by this Court in its Constitutional power under Article 32 as in this case? Ans. The exercise of power under Sections 432 and 433 of Code of Criminal Procedure will be available to the Appropriate Government even if such consideration was made earlier and exercised under Article 72 by the President or under Article 161 by the Governor. As far as the application of Article 32 of the Constitution by this Court is concerned, it is held that the powers under Sections 432 and 433 are to be exercised by the Appropriate Government statutorily and it is not for this Court to exercise the said power and it is always left to be decided by the Appropriate Government. Whether Section 432(7) of the Code clearly gives primacy to the Executive Power of the Union and excludes the Executive Power of the State where the power of the Union is coextensive? Whether the Union or the State has primacy over the subject-matter enlisted in List III of the Seventh Schedule to the Constitution of India for exercise of power of remission? Whether there can be two Appropriate Governments in a given case under Section 432(7) of the Code? under Section 432(7)(a), in all other cases where the offender is sentenced or the sentence order is passed within the territorial jurisdiction of the concerned State, the State Government would be the Appropriate Government. Question No 6: Whether suo motu exercise of power of remission under Section 432(1) is permissible in the scheme of the section, if yes, whether the procedure prescribed in sub-section (2) of the same section is mandatory or not? Ans. No suo motu power of remission is exercisable under Section 432(1) of Code of Criminal Procedure It can only be initiated based on an application of the person convicted as provided under Section 432 (2) and that ultimate order of suspension or remission should be guided by the opinion to be rendered by the Presiding Officer of the concerned Court. Question No. 7 : Whether the term “Consultation” stipulated in Section 435(1) of the Code implies “Concurrence”? Ans. Having regard to the principles culled out in paragraph 160 (a) to (n), it is imperative that it is always safe and appropriate to hold that in those situations covered by sub-clauses (a) to (c) of Section 435(1) falling within the jurisdiction of the Central Government it will assume primacy and consequently the process of ‘‘Consultation’’ in reality be held as the requirement of ‘‘Concurrence’’. Read the Full text of the Judgment here. Topics : CJI Dattu | Justice A M Sapre | Justice Ibrahim Kalifulla | Justice U U Lalit | Life Sentence | Rajiv Gandhi Assasination Case | Remission | Section Sangeet and Anr. v. State of Haryana | Supreme Court of India | Swamy Shraddananda (2) v. State of Karnataka | Swamy Shraddananda case | Union of India vs V. Sriharan @ Murugan &amp; Ors.